A MODEL PERFECT TURNKEY HOME WITH OVER $75K IN UPGRADES INCLUDING SOLAR PANELS!! VERY PRIVATE HOME LOCATED AT THE END OF A CUL-DE-SAC STREET!! Open family rm includes custom tiled gas fireplace, built-in media center w/storage, surround sound speaker system new slider that opens out to a private back yard. Light & bright kitchen includes Granite Island & counters. Newer appliances, under counter lighting & re-faced kitchen cabinets w/custom pullout kitchen drawers & new stainless steel sink & faucet. Breakfast nook w/ceiling fan & new garden window. Formal living & dining room includes custom built-in cabinet, Danmer plantation shutters & vaulted ceiling. Crown molding & lg base boards. Beautiful distressed hardwood plan flooring in family rm & kitchen. Upgraded neutral carpet & travertine floor in entry and bathrooms. Custom window blinds. Oversize master suite includes plantation shutters, ceiling fan & peek a boo view. Master bath includes travertine flooring, red cedar lined walk-in closet, new fixtures, dual sink vanity & new soaking tub w/custom glass door. Inside laundry. Outdoor speakers. Custom inlay pavers in driveway & entry, lattice patio cover & rain gutters. Professional landscape front and back with synthetic turf (front). Large wrap around yard w/fruit trees. New Lennox AC & heating. 2 car roll top garage & storage. 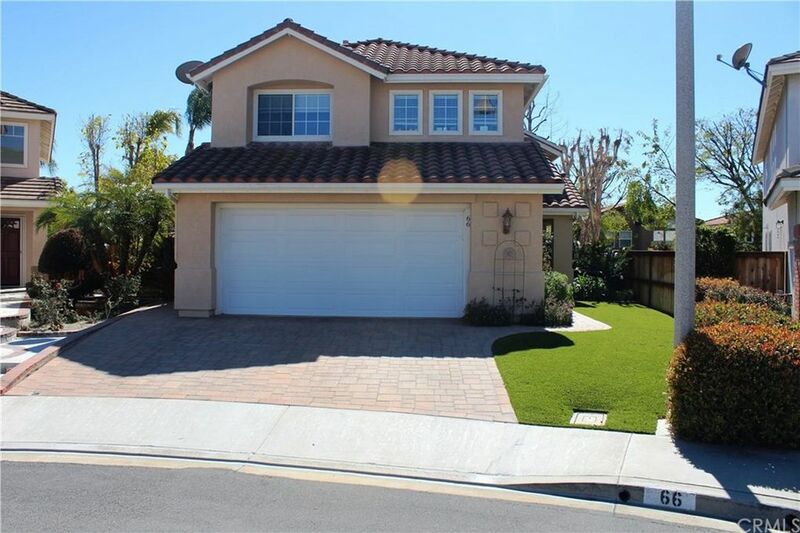 Close to school, parks, community pool, clubhouse, library, shopping, entertainment, 241 toll road & Whiting ranch wilderness park.